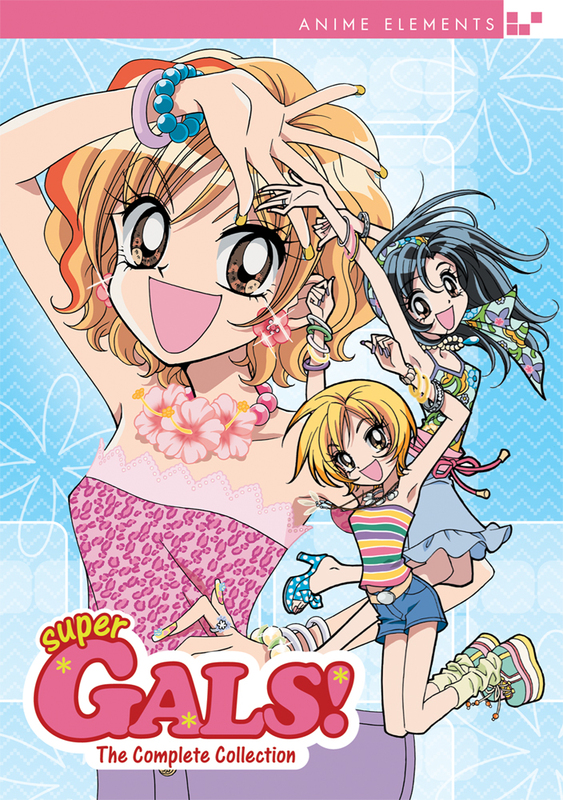 Every episode of Super Gals!, every ironclad rule, and all the Shibuya slang packed into a sling, complete set! Sporting designer clothes, makeup, and nails, Ran Kotobuki is the very picture of trendy, young Shibuya girl, but don't let that fool you. This girl comes from a family of cops, and she's ready to lay you out flat if you even think about causing trouble in her town! At least, she will... when she's not distracted with karaoke, shopping, and dodging her homework. Join Ran and her friends as they defend the streets of Shibuya and attempt to shop their way into the history books as the most famous Gals ever in Super Gals! Super Gals! contains the complete 52 episodes series. Special Features: Clean Opening, Clean Closing, GALS Slang, The Super GALS! Explain It All 1-6, US Trailer, Liner Notes, and Bios. Checking this show out is definitely an ironclad rule for gals! Super Gals is a romantic comedy with some drama that was actually way better than I thought it would be. I loved the characters, well most of them, and I really got into the relationships and wanted them to flourish. On each DVD there’s Liner Notes which help educate you on certain terms or phrases and what happens in Japanese culture that may be different to American audiences which I thought was a great touch. Things such as gals, para-para dancing, and the dog Hachiko. One the bigger downsides of this show is that only the first season (first 26 episodes) is dubbed. Which is a shame cause I think Luci Christian did a great job as main character Ran. But even if the rest wasn’t dubbed, the show was still pretty good. The ending does leave a few questions unanswered and leaves you with a relationship or two wanting more of to see what happens next. In the end, I would definitely recommend Super Gals to anybody wanting a romantic comedy while also learning about Japanese culture.